Graphite has the good property of good resistant-corroslon.high thermal conductivity and lower friction.good serf-Iubrtcation.the smaller expansion.They can be made into the seal faces.bearings and so on." is ideal to choose it as the frictional mating rings. We are a decently eminent manufacturer and supplier of unrivaled quality Mechanical Seal Face. Our reach is accessible in various determinations and can be modified according to the prerequisites of our customers. 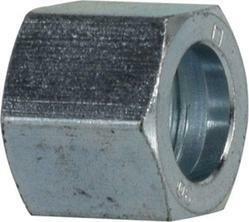 These Mechanical Seal Face are acclaimed for their hearty development and high productivity. - T-Face Seal face/Seat with antirotation grooves. - Materials :- Carbon, Silicon Carbide, Tungsten Carbide. - Face to Face double balanced mechanical seal. - This Seal is excellent high pressure and high speed conditions. 3D Seals has on offer, Standard Mechanical Face Seals, for use of tracked vehicles used in earthmoving, construction, agricultural and defence industries. 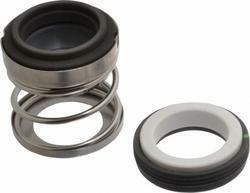 These seals consist of two metal rings energized with a rubber O-Ring. The metal rings are made of alloy steel (hot forge with high strength and heat treated). Face seals are also known as Mechanical Float Seals. Mechanical Face Seals specifically engineered for rotating applications in extremely arduous environments where they withstand severe wear and prevent ingress of harsh and abrasive external media.